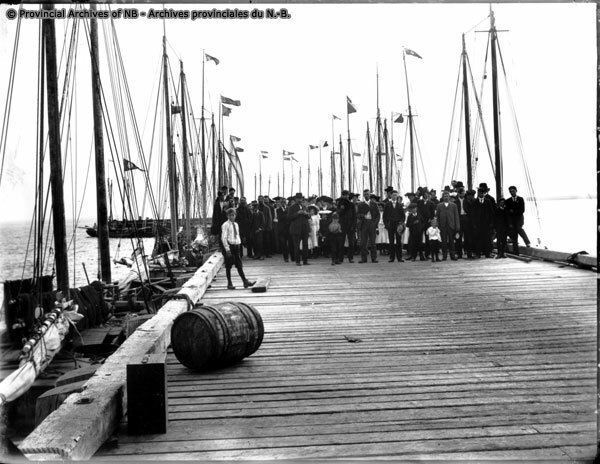 Blessing of the fishing fleet, Lamèque, 1906. Source: Provincial Archives of New Brunswick. Reference number: P18-220. Click image to be brought to the archival site itself! A few other books that focus on the Atlantic fishery worth looking at are Richard Apostle and Gene Barrett eds. Emptying their Nets: Small Capital and Rural Industrialization in the Nova Scotia Fishing Industry (U of T 1992) and James Candow and Carol Corbin eds. How Deep is the Ocean? Essays on Canada’s Atlantic Fishery (UCCB Press 1997) and Miriam Wright, A Fishery For Modern Times: The State and the Industrialization of the Newfoundland Fishery, 1934-1968 (OUP 2001). Thanks for adding these readings to the list! Evenden, Matthew, Fish versus Power: An Environmental History of the Fraser River (Cambridge University Press, 2004). Great book for placing a major fishery in its wider environmental (and political and scientific) context. Hubbard, Jennifer, A Science on the Scales: The Rise of Canadian Atlantic Fisheries Biology, 1898-1939 (University of Toronto Press, 2006). Good study of the formative period of Canadian fisheries science. Thanks for adding these two books. Excellent picks!